I read a New Yorker article by Sasha Frere-Jones today, titled “Whitney Houston’s Invincible Voice” and for one reason or another, it really struck me. I found it interesting because if you look at fame and what it does to people…it can engulf their lives to where they feel like they hardly have any control. Whitney Houston is/was an extraordinary talent and had proven so in her time. Yet, when she got married to Bobby Brown and had a huge amount of success, I think it brought a lot of stress. Even in the Oprah interview that she did a few years ago, she responded that she believed that Bobby was resentful of her success. Because she wanted her marriage to work, she withdrew from the forefront. Maybe, in some ways, it made it easier for her to get drawn into the background and try to appease her husband because she was not comfortable with fame and all the attention anyway. And who can handle that well? Look at many of these celebrities. We have to look at the ethics of the situation. Can they really escape the hunger of fame – which included everyone wanting a piece of your time? And how do you balance that? It’s a catch-22 situation. On one hand, you being in the entertainment industry – especially if you are a successful entertainer – is your bread and butter. On the other hand, if you want your ventures to be successful you still have to resort to giving a piece of yourself to different people even though you strive to live a private life. When I first heard the news about Whitney’s death, I’d just gotten home from the grocery store. I received a bunch of texts from friends telling me the news and I couldn’t quite believe it. It was a shocker to my evening. I understand that most don’t care about celebrities or what they do. Yet, I do care about legends. Folks who have contributed to our culture with their talents. However, Whitney Houston was more than that. She was in the same caliber as Michael Jackson, and some of the rest of the talents who have passed away – and some who are, thankfully, still here. Whitney’s voice was phenomenal. When she was on her game, she was on her game. She was adored and beloved because she was THE voice. She was an undeniable powerhouse. You could FEEL what she was singing to you…it was as if she was preaching or giving you insight about how you felt. This kind of response to music and how she delivered quakered in your soul. Her music is earth shattering, bittersweet, and in tune with the elements of fire, wind, earth, and air. And because of her natural delivery which included the striking soulful melodies that she provided, others have always been judged against her…and can’t win. She is, like Michael Jackson, classic Houston. You know, like what one of my old high-school teacher’s once pointed out once…that Faulkner, Morrison, Hemingway, Melville, Woolf…they have their own section in the library because they have contributed so much to literature. Whitney is the same analogy when compared to music. She has her own section of the record entitled “Houston.” She is in a class by herself but among the genre. Growing up, that’s what I listened to and didn’t deem important until I got older. I knew that I loved the song, “I Wanna Dance With Somebody,” but I never really took meaning in her words or allowed myself to do so. When you’re young, you’re stupid. Sometimes you don’t realize how powerful someone truly is until later on. Whitney Houston is one of those singers that was extremely powerful, and when I was younger I didn’t even know it. Like Michael Jackson’s death, I was transported back into time when I was so obliviously happy listening to his songs…and it was the same for me with Whitney. These singers belted out old school….and paid respect to the artists before them…but they stood on their own with their music. And that’s why they are in a class all by themselves. What devastates me in all of this is not the fans missing Houston…but all of her family and close friends. 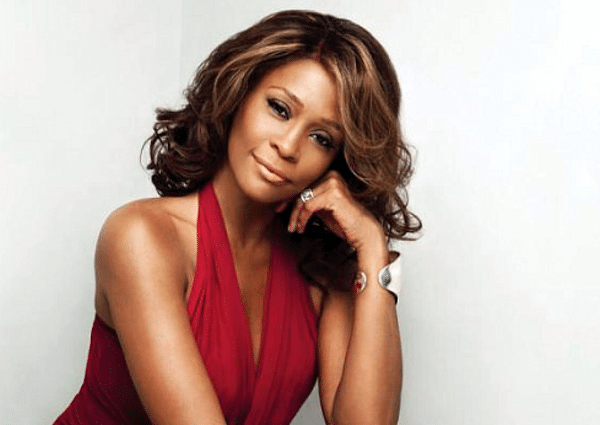 I am sure that she was Whitney to them…not just the singer…but WHITNEY someone who they loved and adored. And my heart breaks for Bobbi Kristina and Cissy Houston – especially for Bobbi Kristina. Can you imagine losing your mother who you are close to and adore? It’s too heartbreaking…it’s too painful to imagine for her. To Bobbi, Whitney was her mom. The one person that she loved in the world. The woman that she looked up to despite her struggles….